Learn about the things that you can do in the most immediate German city to Britain. 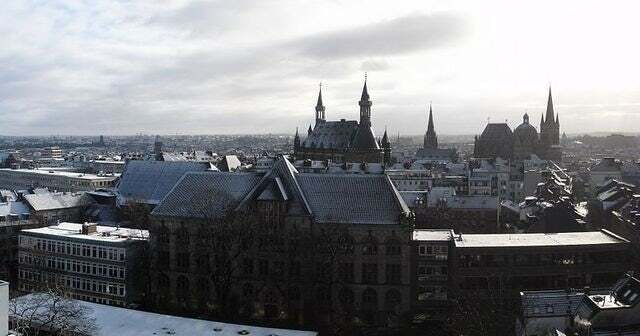 Located in the North Rhine-Westphalia, prepare yourself to see historical architecture, lovely fountains, medieval structures and impressive city gates when visiting Aachen. In fact, you’d particularly notice how this German city elegantly features an amalgam of contemporary and striking Baroque structural designs. Daily Mail UK Travel contributor Patrick Steele suggests popular travel attractions for other travelers to check out when vacationing in the city (“Six Things You Must Do in Aachen, the Closest German City to Britain”). When you’ve seen the tremendous cathedral – Germany’s first UNESCO World Heritage Site – head on down to the crypt for one of the finest ecclesiastical treasuries outside Italy… Prime exhibit is the medieval Cross of Lothair (990 AD), which is encased in gold and silver and encrusted with gems and pearls… See, too, the velvet chasuble – a clerical robe – and a silver and gold bust of Charlemagne and his marble tomb decorated with a relief of the abduction of the Roman goddess Proserpina. So contact us now to get started with your next trip to Germany!